This week I’m making a return to the Lovecraftian with a review of Locke and Key, the horror series written by Joe Hill and illustrated by Gabriel Rodriguez. This is the first of Joe Hill’s works that I’ve ever read and I have to say that I’m seriously impressed. Locke and Key is an intriguing mix of family drama, mystery and horror that had me hooked from the first page to the last. This is the story of the Locke family and in particular the trouble encountered by the siblings Tyler, Kinsey and Bode. When tragedy sends the family from California back to the Locke ancestral home in Lovecraft, Massachusetts, the children discover that their new home, Keyhouse, is hiding a very special set of keys. Unfortunately for them, Keyhouse is also hiding a dark secret that will do anything to get its hands on the keys that will set it free. It will take an epic battle involving the children, their guardians and their friends to prevent all hell from breaking loose. 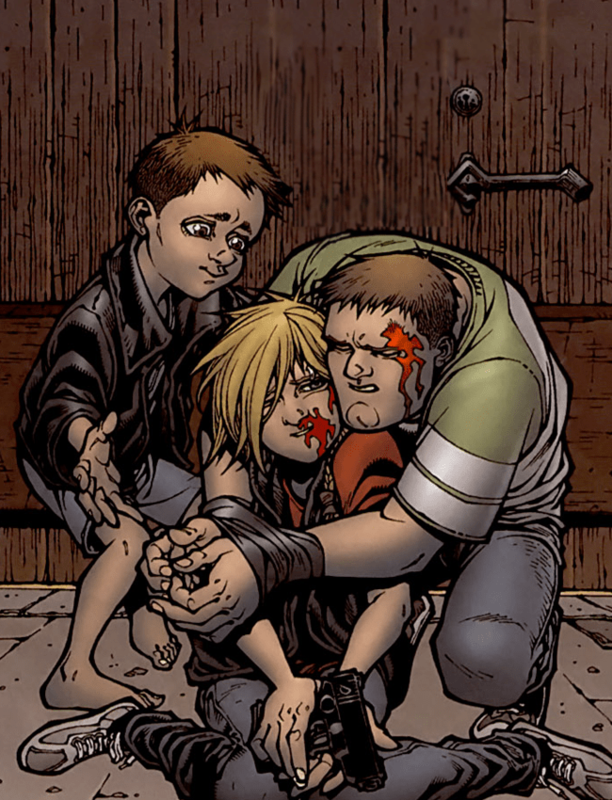 Part of what makes Locke and Key so compelling is the relationships built between the characters and particularly the relationships between the Locke siblings and their mother, Nina. I loved how Hill has each member of the family dealing with the tragedy, and the challenges posed by Keyhouse, in their own way and rarely in any way that could be considered healthy. The growth of the characters from the brutal beginning to the final battle with the evil in the well makes you care what happens to each member of the family. They’re beautifully flawed people who feel so real that your heart will race as you turn page after page, desperately hoping they all make it to the end. And on a purely aesthetic level, Locke and Key is brilliantly designed. The slow revelation of each of the keys hidden in the house gives the series a dark, magical feel. I don’t want to ruin the beauty of these keys by spoiling what they do so I’ll leave it to the readers to find out for themselves. As I was reading, I found myself seriously wishing some of the keys were real and then oh so happy that others were not. As befits a horror series, there is some pretty serious brutality here. Gabriel Rodriguez is absolutely brilliant at illustrating both the bloody and the magical in a way that underscores the creepiness of Hill’s writing. So far in the series that I’ve read for Graphic Reviews, I’ve majorly lucked out. I think I’ve heartily recommended all but one of these series so far. 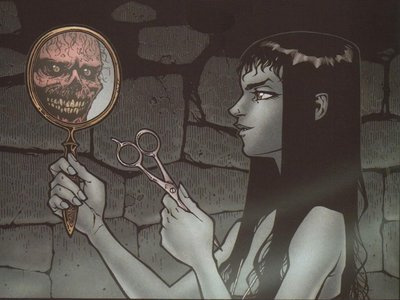 Locke and Key however is something very special. It not only brings the dark horror of Lovecraft to life, it makes you care more than you would have thought possible about the Locke family. It grabs you by the heart strings, pumps you full of adrenaline and never lets go. I will warn that if you don’t like wordy panels, this might not be up your alley, but it’s well worth it. If you can handle a longer story and the twisted things that go bump in the night, it’s an absolute must-read series!